From November 5 – 30, 2012 you can taste the burger creations from 29 restaurants in Vancouver and Burnaby, then vote from November 28 – December 3 for your favourite. Visit www.vancouverfoodster.com/burger-challenge/ to find out all the restaurants and how to vote. 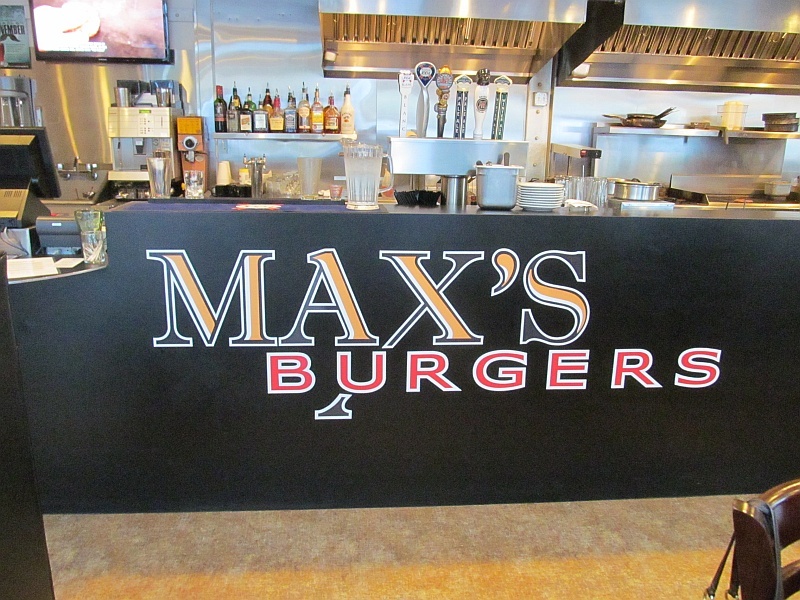 Max’s Burgers produced a “local” burger, where all the ingredients are local. Plus the hamburger bun is produced on premises. The beef comes from the Honest Butcher on Broadway and the bacon comes from Woodland Smokehouse. Amber Ale white cheddar for the burger comes from the Okanagan. We were told that since they created this burger it is their top selling burger in Max’s. People like local! I enjoyed this burger. It was well put together. 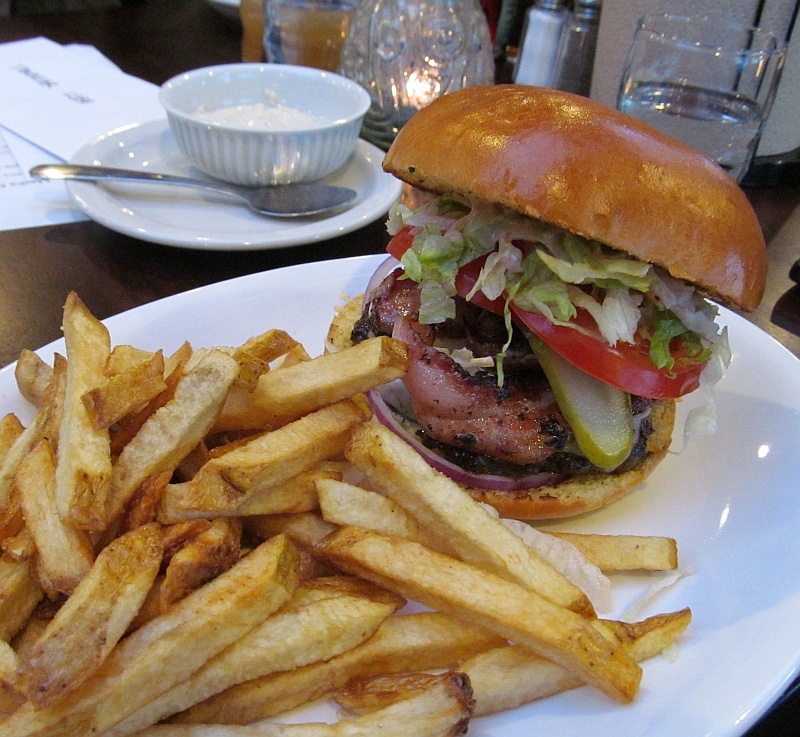 I liked the bacon in that it was not too smoky or salty, and the burger was not dripping in sauce. The patty looked to be 1/2″ thick. Some other Media people mentioned how much they liked the home made hamburger buns. Max’s also made their version of a Whisky Sour to go with our burger, called “Pomme de terroir“. 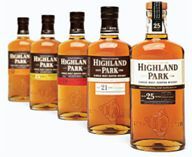 It is a blend of local Spicebox Whisky mixed with roasted & pureed local Gala apples, and some sugar. A shrub vinegar was also added, and to top it off with R&B Cream ale foam. The baked apple mixed with the sweet spice from Spicebox Whisky was really very tasty. I’d order it again. If I were to pair a wine with this burger it may be a California Chardonnay, or maybe Summerhill’s ALIVE Organic Red. Luke’s Kitchen also went local but with a twist. They produced a home made veggie burger patty. 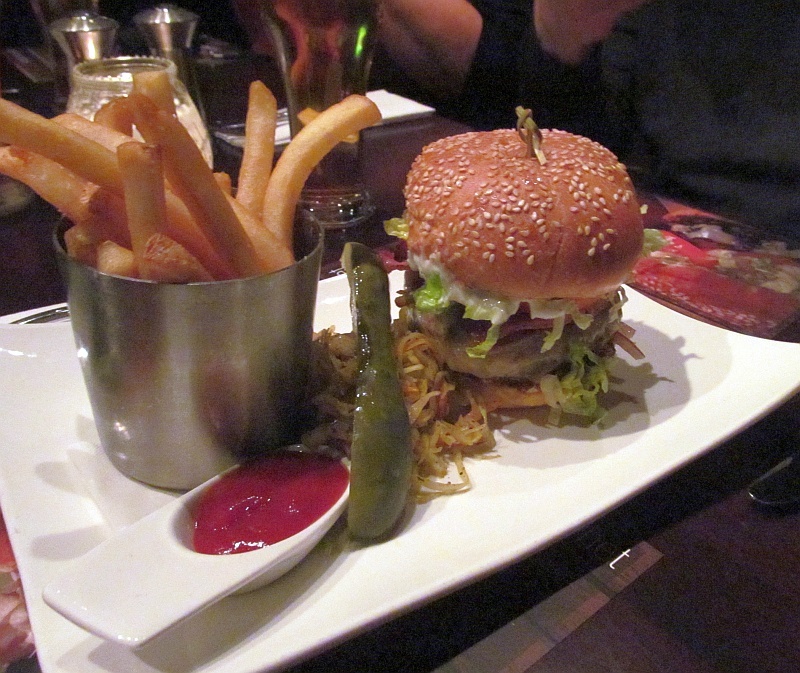 They spent 2 months with 3 different consulting chefs to create the burger we tried that evening. Some of the ingredients that went into this patty included quinoa, toasted almonds, black beans and more. 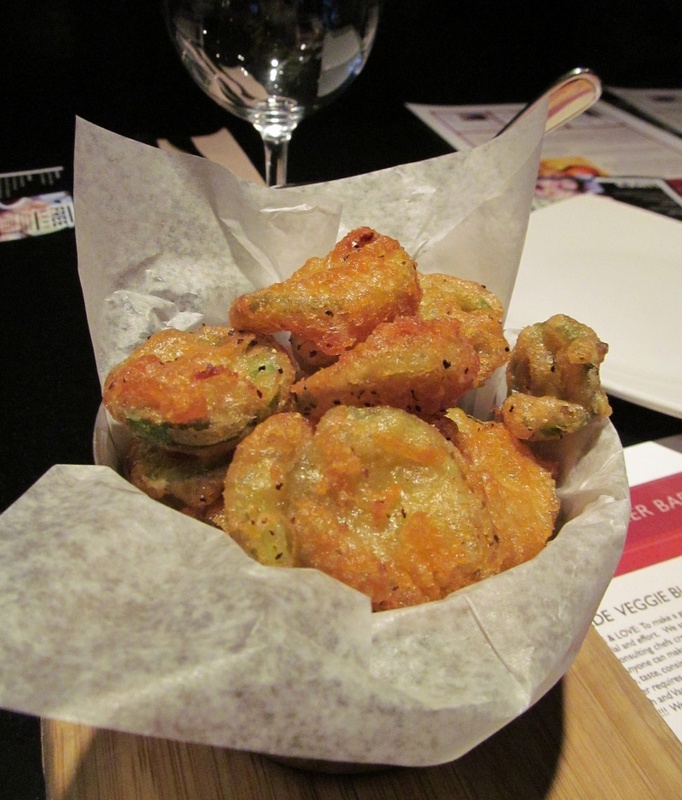 To complement the burger they topped it with southern fried beer battered dill pickles and jalapeno peppers and dressed it with home made Granny Smith Chipotle ketchup. Wow. The pickled peppers and ketchup added zing to this burger. The patty had nice texture to it, and you don’t miss that it is not beef. If I were to pair a wine with this, I may go with a rose wine, maybe from Joie or Haywire. Luke’s Kitchen is taking local to another level as they will soon be growing their greens onsite, and talked about also raising their own fish at the restaurant too. Very cool and very local. Our last stop for the evening was Whet on Granville Island. They created a beef burger for this challenge and their twist was a Latin spice influence. 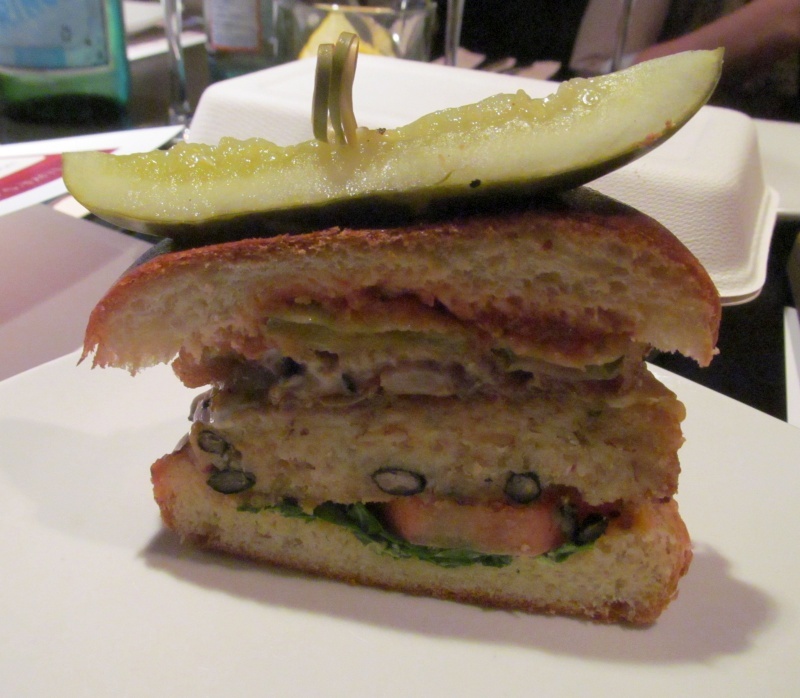 They use local ingredients as well, such as the buns from Le Baguette on Granville Island. The beef was mixed with oregano, cumin and other spices. AAA beef was used for the patty and it came 1/2″ thick on the bun. A Dominican style chimichuri slaw was served on the side. The beef was very juicy and lots of flavour. I in particular liked the cumin flavour, plus the actual taste from the grill marks on the patty. I did not taste the grill from the other 2 burgers. The other thing I really liked was the cheddar cheese that was layered on the burger really stood out. I like the sharpness of the cheddar. I’m partial to Latin flavours, and this was my favourite burger of the evening. They served an R&B Bitter with the burger. It had nice orange, cherries and spice flavour. It was light body with medium bitterness. A nice beer to enjoy with this burger. If I were to have a glass of wine with this, I think I would go with a Ravenswood Zinfandel. Give these burgers a try, or try some of the other restaurants, then vote for your favourite burger. Enjoy!